Proudly delivering on EPCO’s mission of Quality, Precision, and Style, this set can best be described in 3 Words. Professional, Innovative, Stylish! 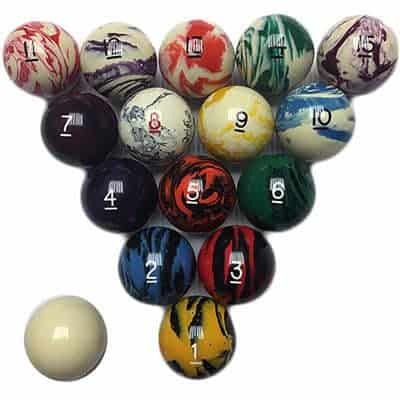 In terms of color pattern, no 2 balls are exactly alike. This colorful set is sure to add endless hours of fun to your game room!